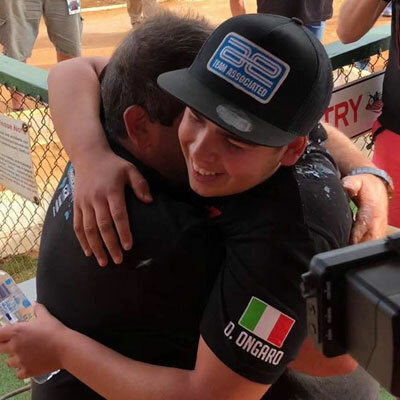 Ongaro and Team Associated World Champions! Davide Ongaro powered his Associated RC8B3.1 to victory in the 1:8 Off-road World Championships. 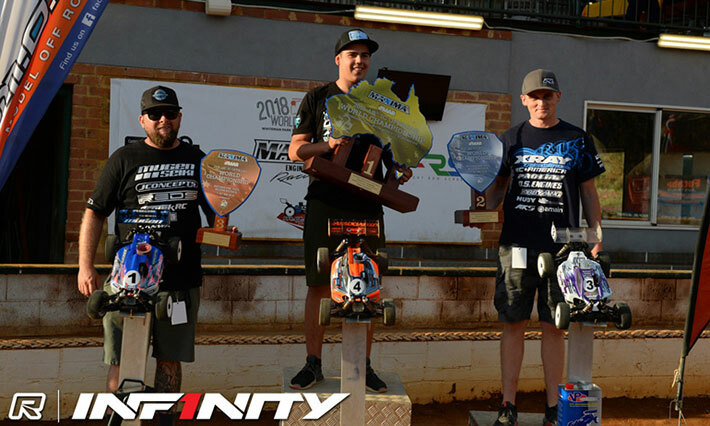 The Italian became the youngest winner of the sport’s top prize with an impressive and dominant performance in Australia, to win the 1-hour final by 3/4 of a lap from Top Qualifier Ty Tessmann. Ongaro initially battled with pole sitter Ryan Maifield after defending champion David Ronnefalk hit problems early and then Tessmann made a mistake that dropped him from 2nd to 5th. Pulling clear of the field only alternate mistakes saw the order of the Top 2 change. With 15-minutes on the clock, Maifield had a 4-second advantage and was looking strong but on the difficult track he relinquished that advantage on the top right side of the track and Ongaro went to the front. From there he would take control of the race, his advantage at the midway point almost 7-seconds. 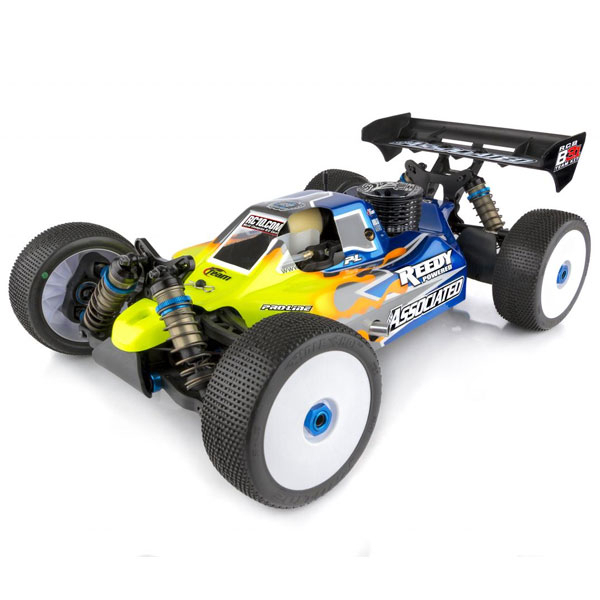 As he continued on his way to securing Team Associated’s first nitro World title. With a reaction to his achievement more akin to if he had just won a club race back in Italy, Ongaro said, ‘It was a really difficult, long race. The first minute the car was not so good but after it was really good. Once I had a good distance over Maifield I just tried to drive safe without mistake’. Having shot to prominence at the Worlds 2-year ago but lost out on a podium finish when his fuel pressure pipe came off, when asked what today’s win meant, the 17-year-old replied, ‘I’m really, really happy. I want to thank all my family, my friends and all the team in Italy and my sponsors too’. Words and pictures courtesy of Red RC.